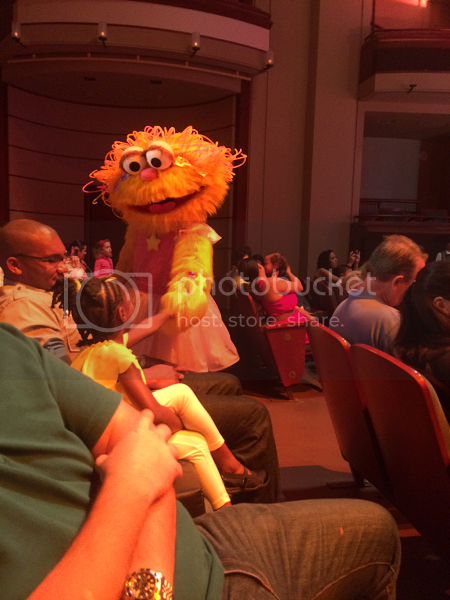 We had the opportunity to take Ethan to a see the Sesame Street Live performance of their musical "Make A New Friend" today at the beautiful Adrienne Arsht Center in Miami, Florida. 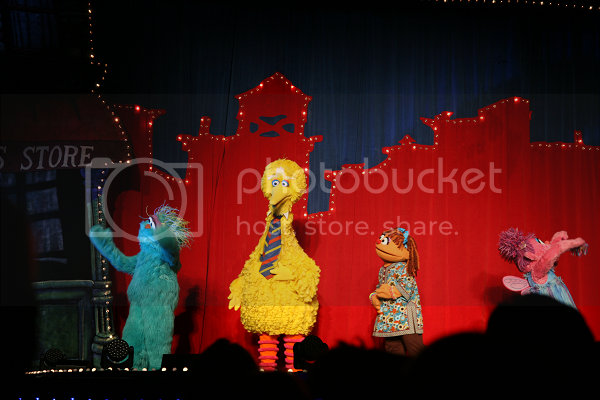 Ethan couldn't wait to "visit Sesame Street" and see the characters himself but nothing could prepare him for that moment when they all actually stepped out onto the stage! He was in complete disbelief! You don't have to be big TV people to appreciate the quality programming that Sesame Street provides and there's just something special about getting to see all of the beloved characters up close. 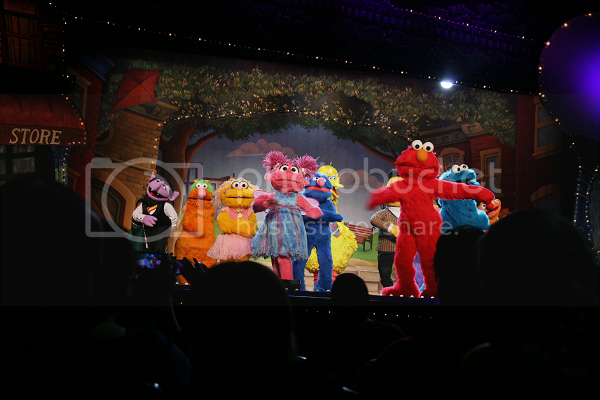 I hadn't been to a Sesame Street Live performance since I was Ethan's age so I was excited to see what the show was all about and, even more so, to see it through his eyes. "Make A New Friend" was a wonderful show that, in typical Sesame Street fashion, was packed with great lessons and lots of fun and learning! 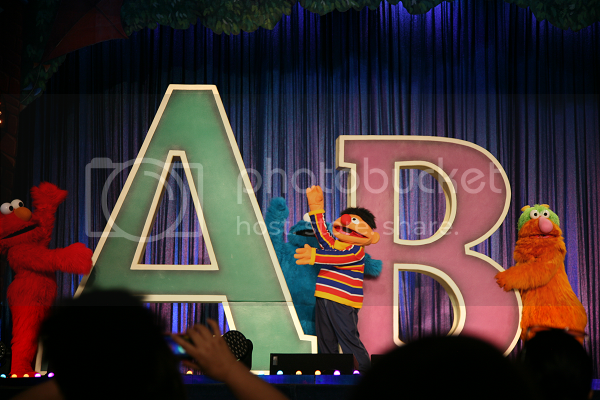 The story begins with Grover anticipating the arrival of his friend Chamki who is visiting Sesame Street from India. Grover, Chamki and all of the Sesame Street characters go on to learn several lessons through song and dance, including the fact we are all special. "Make A New Friend" was also a great way for children to explore different cultures and realize how much we have in common despite feeling things are different on the surface, like the fact Abby Cadabby has fairy wings and Chamki does not. Love, friendship and fun are all universal no matter where you come from! My husband and I were definitely expecting to love watching Ethan watch the show, but we both admitted that we loved the show ourselves as well. The storyline was beautiful, the music was great (from Katy Perry parodies to more classic theater pieces), the dancing was wonderful and the show was just completely riveting for all ages. 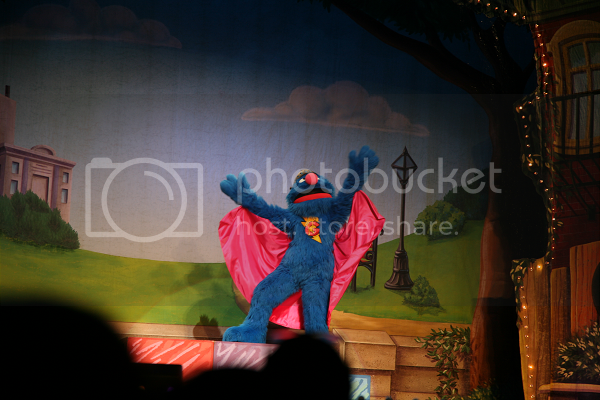 So much detail went into every aspect of the show, from the intricate sets to the beyond impressive choreography -- Cookie Monster actually fell into a full split! These characters were good! 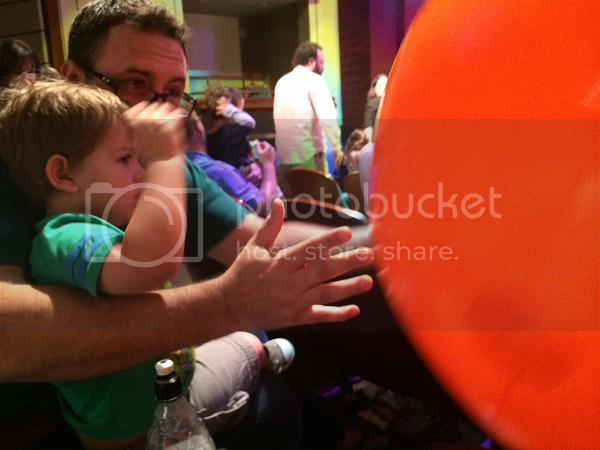 We were all also quite impressed with how interactive the show was. 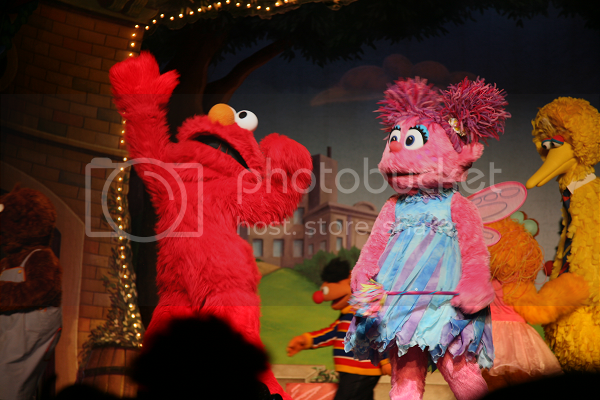 Characters didn't just perform on the stage, but made their way into the audience while dancing and to high-five and shake hands with their adoring fans. 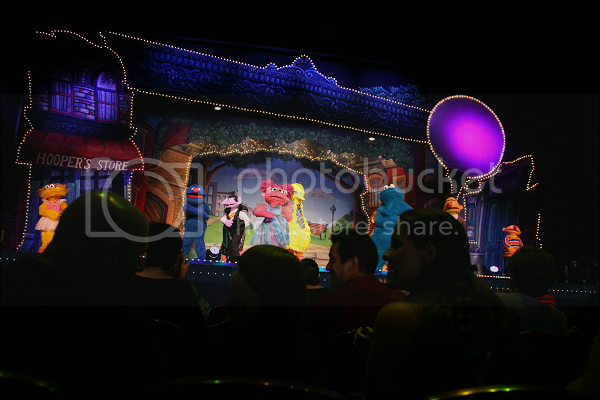 This helped bring the magic to life even more for the children in the audience! 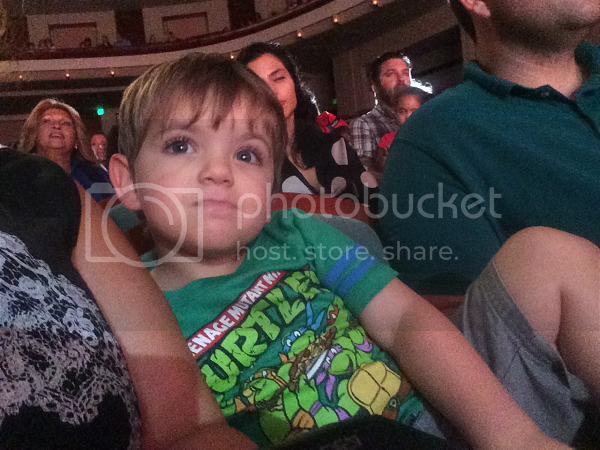 Ethan was completely captivated by the show, which was definitely created with young audiences in mind. The length was perfect and the intermission gave plenty of time for little ones to stretch their legs, grab a snack or use the bathroom. Did I mention Ethan was totally captivated? 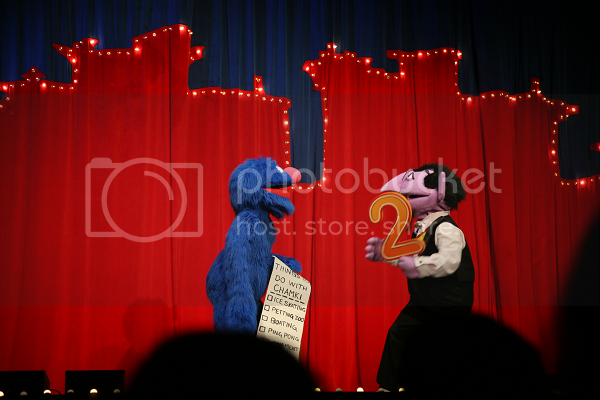 As I mentioned before, audience interaction was a huge part of the show. 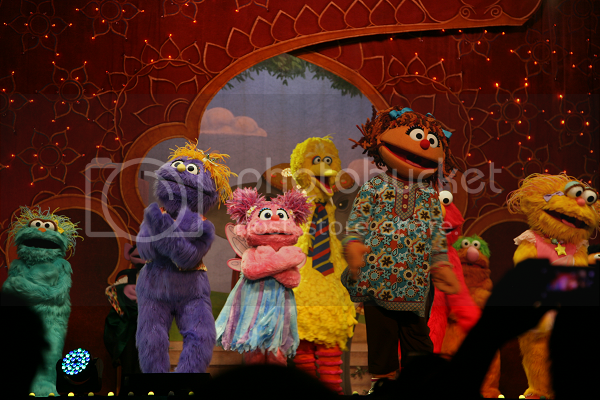 Immediately following the intermission, the Sesame Street characters ask the audience members to get up and join them in a special dance. 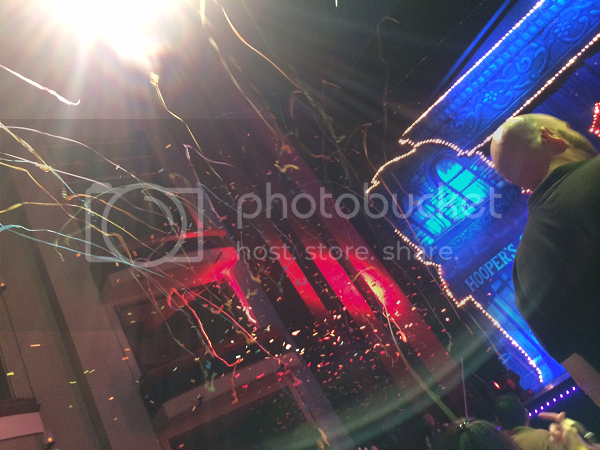 The characters toss beach balls into the audience and several times at the end of the show, confetti and streamers fly out across the crowd! It was a magical show (for all of us!) 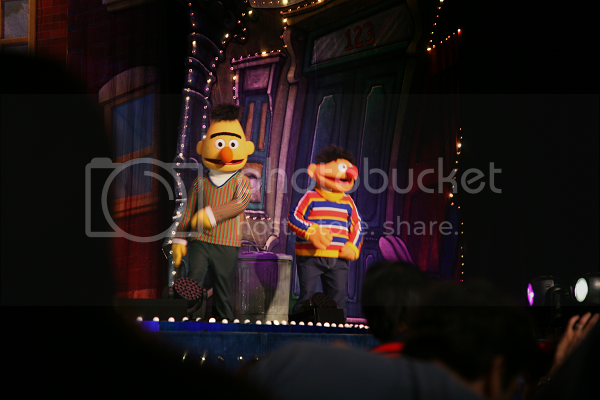 and we can't wait to take Ethan again the next time Sesame Street Live comes into town. It was a wonderful way to spend a magical afternoon making family memories together! 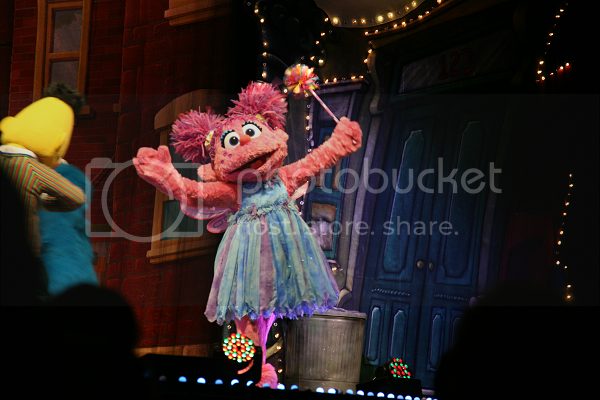 To find out when Sesame Street Live will be in a city near you, visit their website! 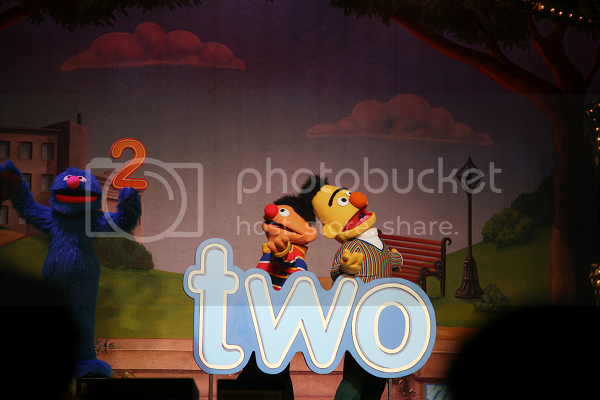 Stay connected with Sesame Street Live on Facebook for more updates and great offers!